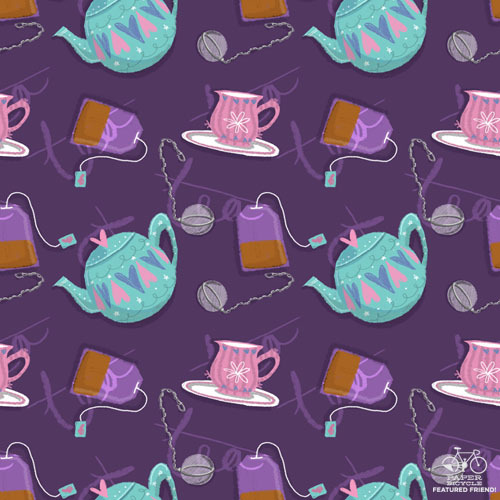 If Lindsay and Alyssa have sister patterns for the teapot topic, Fran Court's teapot pattern and mine may be cousins. Here are some things you need to make that beverage of beverages. Or as some like to say, "the gentlemen's drink". This is super cute! I love the word pattern beneath the teapots! Love the purple and teal! Awesome.